I have 20 thematic maps with different sources like CITY PLANNING OFFICE, ENVIRONMENT OFFICE, AGRICULTURE OFFICE etc. Since I have many maps, I want to automate the data source citation of my thematic maps by simply having a code or process. I want that each map layout, the data source will change based on the map that is being viewed. 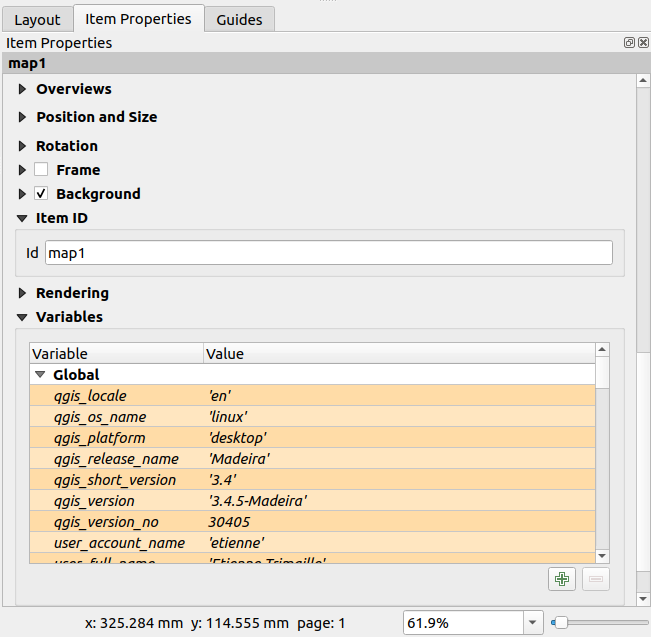 This will lessen the burden because I am not having to manually type the data source for each map layout. I saw someone discussed about variables and it got my hopes high but it didn't work for me because the layer variables cannot be used in text label in map layout. Only the Global and project variables were working. If the source is the layer name you could define your own custom function and use it as an expression in the label content dialog. Click "Insert an Expression..." in the Main Properties of the label. Select the function editor tab and paste the following. Click "Save and Load Functions". Then back on the Expression tab of the "Insert an Expression..." dialog double click the get_layer_name function (under Custom) to add it to your expression. 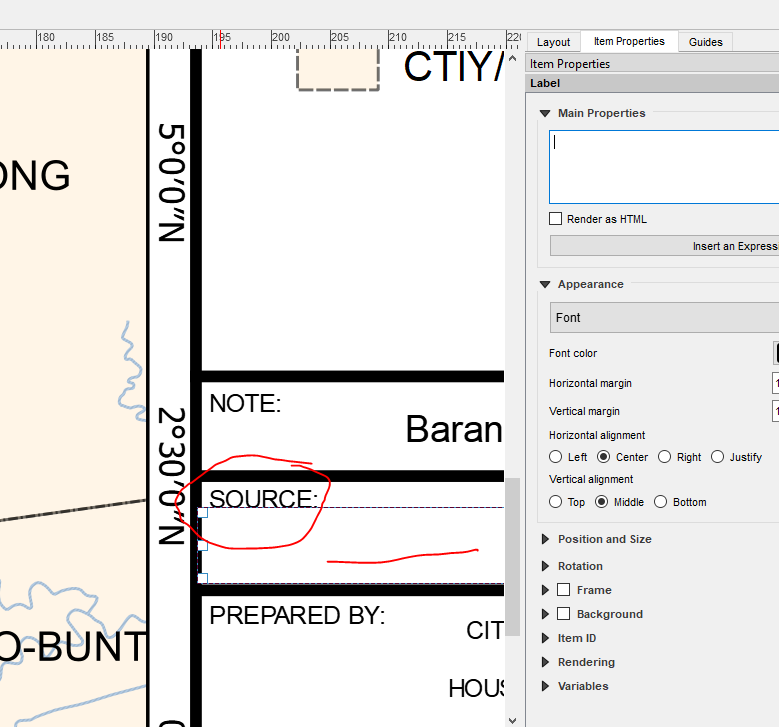 After clicking OK, the name of active layer in your main QGIS window will appear in your label. 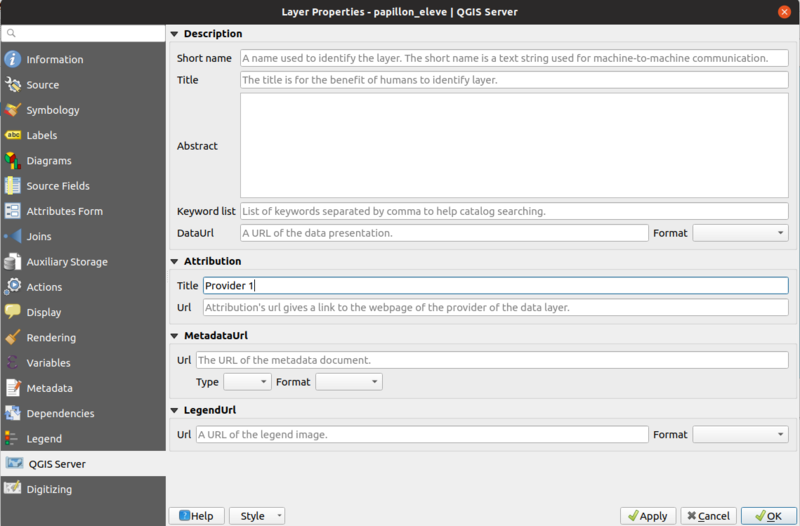 You will have to refresh the Layout Manager to update the name after a different layer is selected. 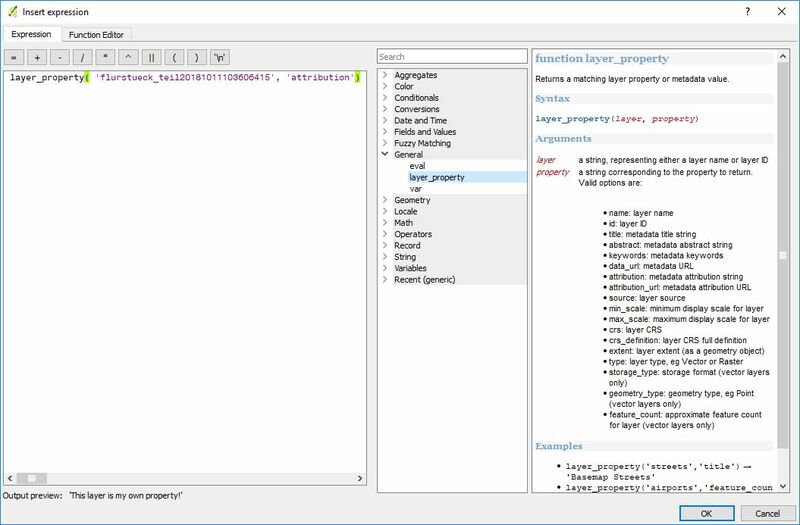 If you have many layers in your map and you would like to build the attribution label based on layers which are visible, it's possible with QGIS 3.4. Not the answer you're looking for? 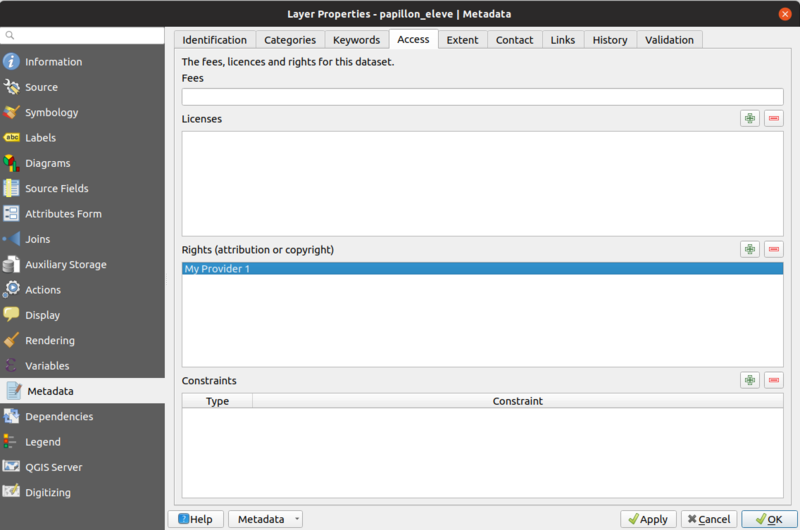 Browse other questions tagged qgis print-composer layouts expression attribution or ask your own question. Display credit in map composer? 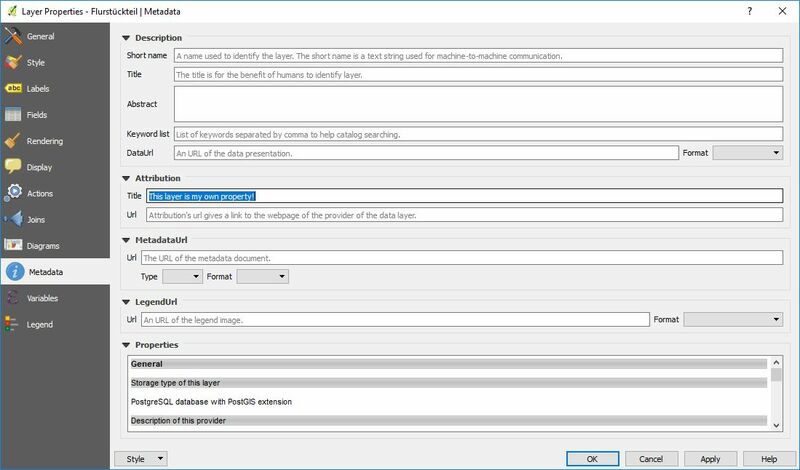 ArcGIS Pro equivalent to QGIS Print Composer/Print Layout? Citing data on map layout?